First, our orientation will help you understand your personality, tendencies and strengths. Next, we get rid of the mundane photocopying and coffee making normally assigned to interns and replace them with client project work. That’s why its called an experienceship – it is focused on a collection of valuable experiences that apply to the real world from handling client meetings to navigating group dynamics to presenting in front of an audience. No matter what project you deliver, you will walk away with great stories for interviews, a huge resume boost and a tangible project to share. Finally, through daily lessons and activities, you will get the opportunity to breathe life into your own business idea. During the first weeks of the program, we will work as a group to create hundreds of viable ideas and then pick the best to pursue. Don’t worry if you don’t have a million dollar idea in mind – the best part is learning how to see opportunities in your everyday life. The PRO trainers will challenge you to prepare for obstacles and create a solid business plan that you can legitimately launch one day. And we will wrap up with a ‘Shark Tank’ style pitch night were you all present your ideas to a panel of local business people and entrepreneurs! In addition to the professional experience, you will also have all of the support of a study abroad program. With full-time staff and professors on the ground, we are there to support you 24/7 whether your luggage is lost or you are looking for a great restaurant recommendation. You have a built-in community of incredible college students from all over the US. 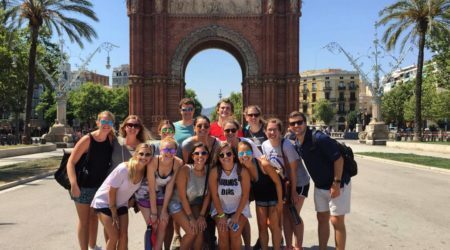 PRO Barcelona combines the best aspects of real-world business experience, applicable training and the support of study abroad. Spots are extremely limited so start on your application today! 3. Submit your $500 deposit. The $500 goes towards the total $5,500 program fee. Start your application now to get one of the limited spots! During PRO Barcelona, you will split your time between the PRO Barcelona curriculum and your project for a real startup-company. You will meet at one of Barcelona’s premier coworking spaces everyday but you won’t be stuck inside 4 walls. You will get out and explore the city through challenges and scavenger hunts. You will also interview colleagues and business owners as you do research for your client project. Each morning, you will work with the PRO Barcelona trainers and your fellow students to explore the fundamentals of starting a business, problem solving and testing a business model. You will be exploring creative ways to meet the needs of a unique market, testing potential solutions and discussing the pros and cons of various business models. In the afternoons, you will work in small groups to tackle the project that your start-up company has given you. It will be challenging and incredibly rewarding to work as a team to deliver value in this energetic environment. While in Barcelona, you will stay in comfortable housing near the heartbeat of the city, the heartbeat of the city. We will take care of all housing details for you so you do not need to worry about hostels or Airbnbs while you are getting ready to go! 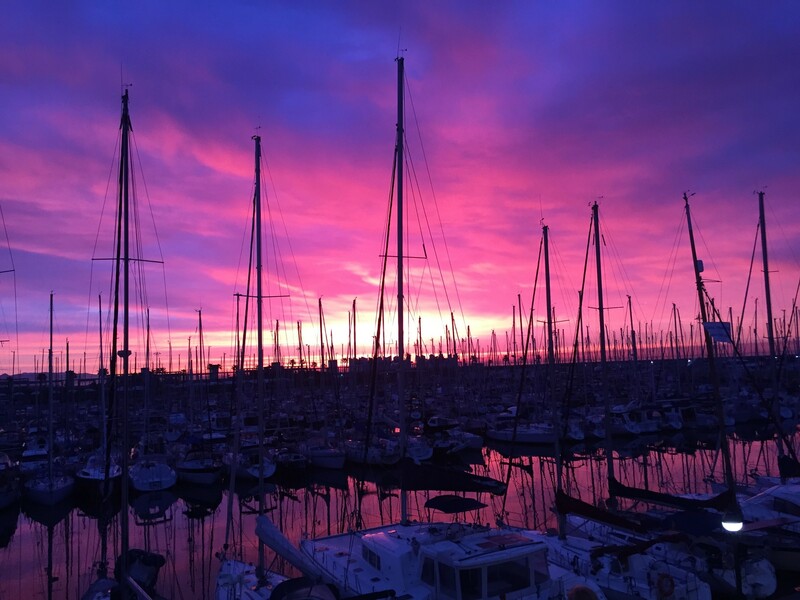 PRO Barcelona accommodations are located in a safe neighborhood and have security and wireless internet to make it easy to stay in touch with family and friends at home. We know you need catch up on those snaps! Our engagement model is the secret sauce that makes PRO different from other professional programs abroad. The PRO team consists of a residential director, program staff and peer leaders who will support you during every aspect of your international experience. We do not simply arrange your housing and activities; instead, the PRO Barcelona team will focus on your professional, personal and cultural engagement to help you have the best experience possible. Professional engagement begins with your experienceship: real-world projects with mentors from start-ups and small business owners. 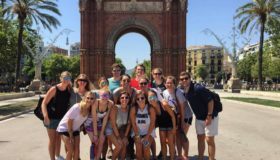 With a projected cohort of 20 students, you will have an opportunity to know the staff and your fellow students as you build your professional skills and engage in the Spanish culture. Personal engagement is created during our weekly community club meetings. These optional gatherings encourage you to pause and reflect on all that you are experiencing abroad. Each week will have a unique focus ranging from your personal strengths to your vision and values. Through intentional conversations, these meetings can provide a renewed sense of purpose and direction for your life while also helping you get to know your fellow students. Cultural engagement is derived from the plethora of cultural activities that the PRO staff will plan as well as the daily life you will experience in Spain. 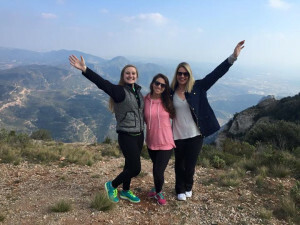 There are plenty of opportunities for you to explore Barcelona and the surrounding area including visiting the monastery at Monserrat, hiking Mt. Tibidabo or learning how to make authentic paella. Our residence director and peer interns search for all of the most authentic cultural events and make them accessible to our students. Or, if there is something that you want to do, let us know and we will help you accomplish it. 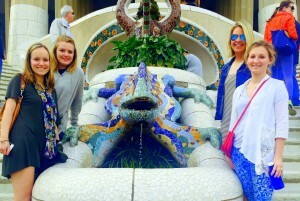 There are two ways to book your travel to Barcelona. First, you can reserve a seat on our group flight. This is a great way to get to know your fellow LeadAbroad travelers from the moment you depart the US. Traveling thousands of miles away from home is new and exciting, so having familiar faces all around you makes the experience unforgettable. Group flight details will be made available once you are accepted to the program. 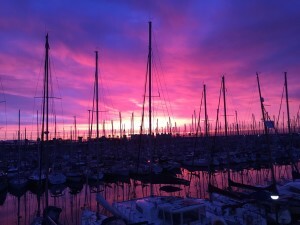 If the flight is departing from a location other than your hometown, you will need to book your connecting flight independently to meet up with the group flight with a minimum 4-hour layover to connect. No need for any stress on the way to Spain! Your safety is our number one priority on all programs. With a triad staffing model including LeadAbroad residential directors, interns and PRO staff, we have one of the lowest student:staff ratios of any professional program abroad. We execute safety procedures in Barcelona including assessment, education, security measures, ongoing monitoring and emergency response protocol. The LeadAbroad Policies, Terms & Conditions document outlines these policies in detail. Prior to departure, every student will complete a detailed health questionnaire. We encourage you to visit your doctor and dentist to ensure that you are up to date on all vaccinations and have complete supply of prescriptions. We also include international medical insurance through TW Lord & Associates for all LeadAbroad students. It is important to note that this is different than trip protection or travel insurance. We will provide many more details on health and safety information in the student login after you are accepted.